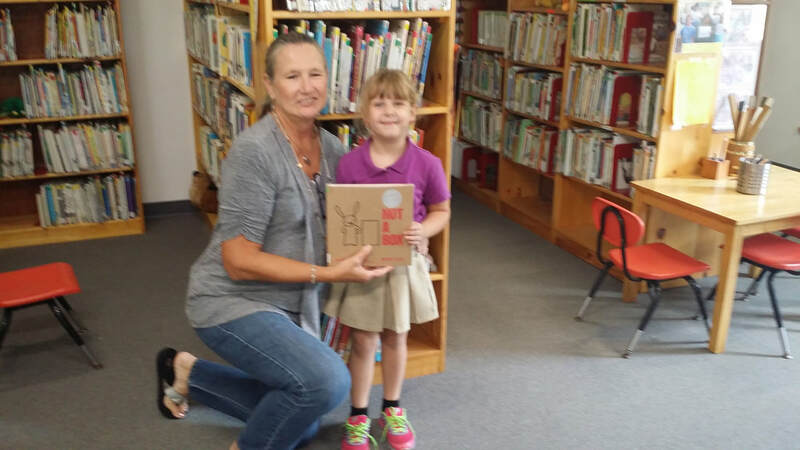 Mr. and Mrs. Hunt gave Not a Box to the library in honor of their daughter Macy's birthday on September 10th. Pictured here are Macy with her teacher Mrs. McDonald. 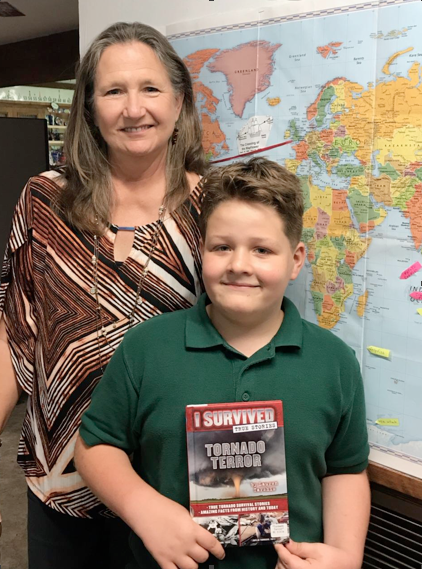 I Survived Tornado Terror was given to the library by Tracy and Melissa Hunt in honor of the December 9 birthday of their son Eyrk Hunt. Pictured here are Mrs. McDonald and Eryk. 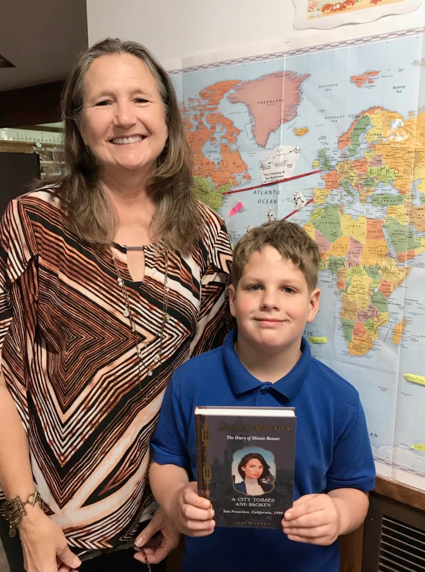 City Tossed and Broken was given to the library by Tracy and Melissa Hunt in honor of the June 22 birthday of their son Iain Hunt. Pictured here are Mrs. McDonald and Iain.